None of us were ready to leave this magical little cabin in West Virginia. We lucked out and noticed a while back that nobody had booked Lost River Modern for New Years yet. Robert and I notoriously have boring, low key New Years Eve's and we thought this might be the best excuse to do something a little bit more fun. Coming off of our trip home for Christmas, it felt like one giant vacation all rolled in to one, starting with family and ending with our close friends was my idea of the perfect ending to the year. 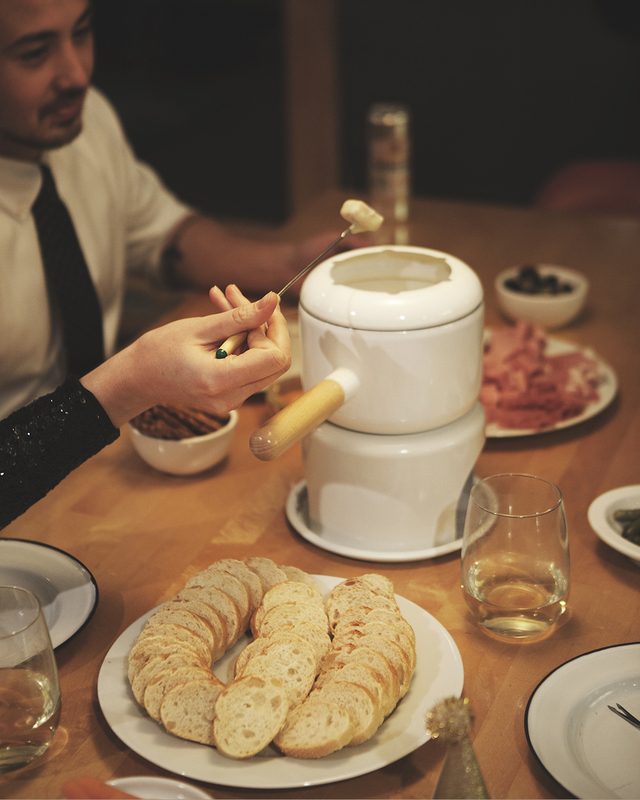 Arriving on New Years Eve, we made fondue, drank a copious amount of champagne and celebrated the winding down of the holidays. There was a lot of exploring, the best hangover breakfasts and hanging around the fire. I also have to express my love for this adult coloring book trend that is apparently sweeping the holidays. I got four of them for Christmas and was happy as a clam to spend entire afternoons just sitting and coloring. When we rescued Daisy from a Tennessee kill shelter we knew that life in the city would be an adjustment for a country dog. The elated face she makes as soon as we are out in the woods is invaluable to me. She was in her glory the entire weekend, sniffing all the things and chasing after all of the deer. She also took advantage of daytime naps, her favorite thing I am convinced apart from rabbit hunting. Hanging out in a wood fired hot tub isn't something you get to do every day, and after the boys had some trouble keeping the fire going (long story but we think the batch of wood wasn't quite dry enough) it was amazing to finally get in and stargaze. You forget how beautiful the night sky is after being in the city, thanks for the reminder West Virginia. The moment we left we were all ready to plan the next trip back. Thank you for the best New Years Lost River!